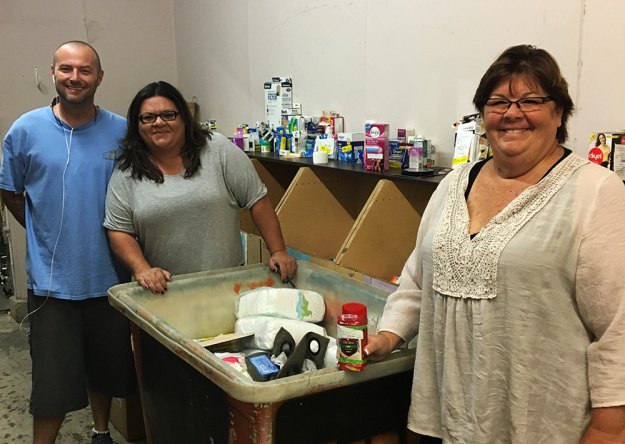 Not only does Stardust Building Supplies divert usable building materials from the landfill but we also partner with the Good360 program to collect out of season, returned, or slightly damaged but still reusable items from corporate retail stores. 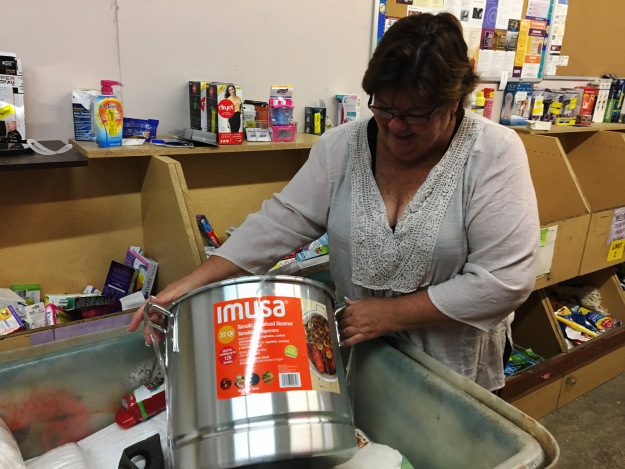 These items are not resold but are rather distributed at no-cost to partnering nonprofit organizations. Currently more than 300 organizations use the Gifts In Kind program to receive home goods, toiletries, office supplies, and building materials – essential items organizations can use for day-to-day operations or provide to the families and individuals they serve. Deep Within Rehab is one of those organizations. Cindy Humes is the Director of Deep Within Rehab. We had a moment to catch up with her on one of her recent trips to our Gifts In Kind Distribution Center. 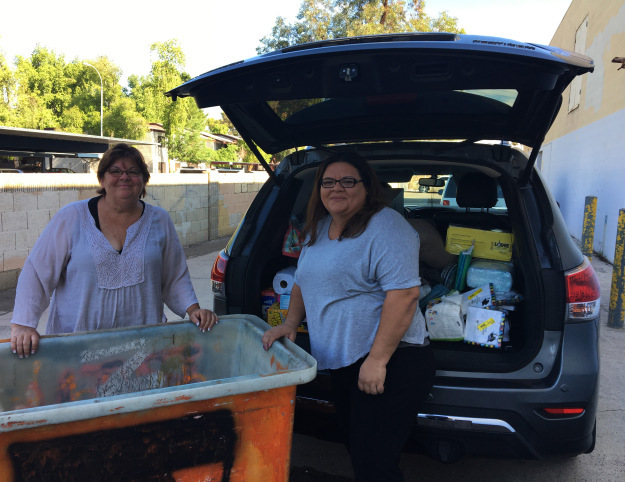 Deep Within Rehab Director, Cindy, and her daughter collect free supplies at the Gifts In Kind Distribution Center. Pictured with Jason Ochs, GIK Program Manager. What is the Mission of Deep Within Rehab? The mission of Deep Within Rehab is to help men transition from homelessness to productive lives in society. Our shelter and recovery center provide a safe, clean, alcohol and drug free living environment, employment training, job training, and recovery assistance. What Type of Items Do You Typically Receive From Gifts In Kind? At any given time, our Peoria facility houses up to 60 men so we’re typically looking for pillows & linens, hygiene products and building products. A delighted Cindy picks up a few cookware items. How Do These Items Help You Serve Your Clients? It helps us provide basic necessities. It’s the small things. Before we never even used to have napkins but now we do. 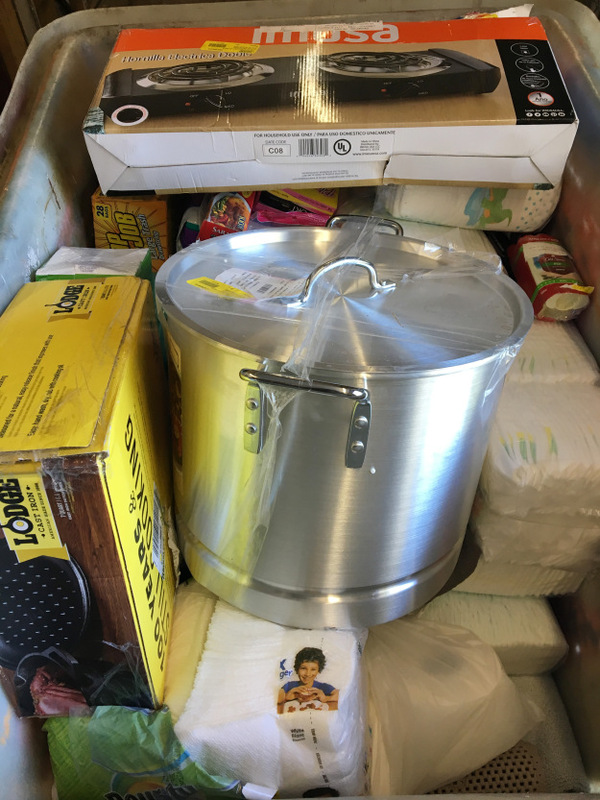 On her recent shopping trip, Cindy stocked up on napkins, cookware, and cleaning supplies. How Has GIK Impacted Your Organization Overall? Everything is improved. We get to do more projects, more improvements to the property. 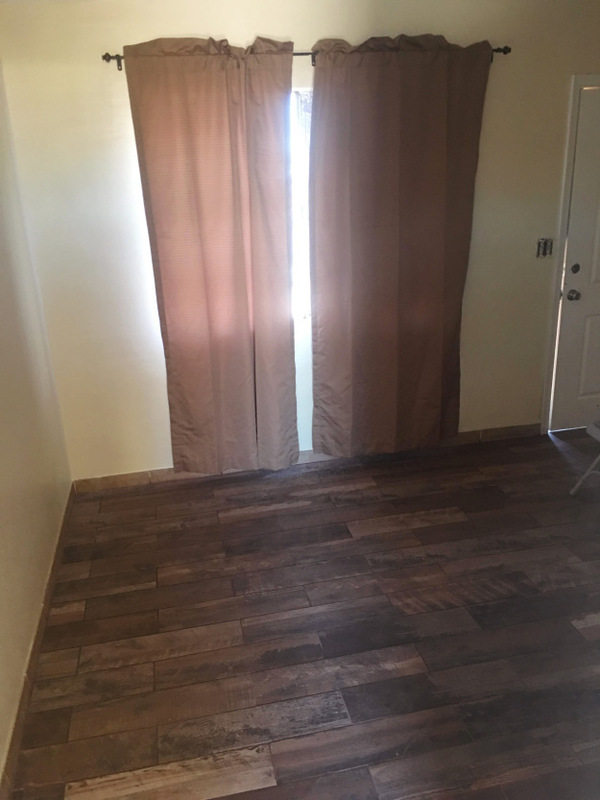 We received paint, tile, and curtains to redo one of the rooms at our recovery center. Stardust and the Gifts In Kind program has helped us raise the standard of living. One of the rooms at the Deep Within Rehab Center that was updated with paint, tile, and curtains from Gifts In Kind. How Do You Feel Knowing That You’re Keeping Usable Items Out of The Landfill? It makes me happy to know we’re reusing materials. For the most part everything is still usable and it would be a shame if it all was in the garbage when it could help someone in need. A car full of supplies! Deep Within Rehab has been a Gifts In Kind partner for five years and counting!